How will you be commemorating the day? 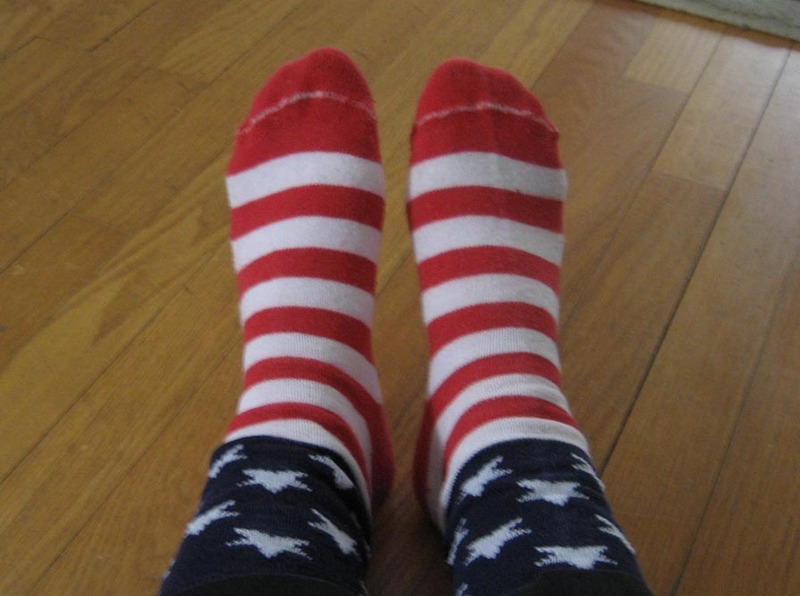 I am wearing my red, white and blue flag socks and will be at the library where the inauguration will be shown on the meeting room’s big screen TV for the public to watch. I might partake in a red or blue frosted cupcake, too! Dazzles, my coworker wrote her Representative after the election asking for tickets to the swearing-in ceremony. She was put on a waiting list and then got a call they had tickets for her so the past weekend her husband and her set off for D.C.! She uploaded a shot of her ticket to Facebook and has been posting various updates of their travels. Craftster and One Pretty Thing round up Inauguration-themed foods, crafts and projects, including ball gowns (at Craftster)! My name is Tim, and I’m a Lawn Ranger-o-holic. I love the socks!! I guess I need to figure out a fun inaugural lunch for us to eat.